what does a chicken have to do with football? 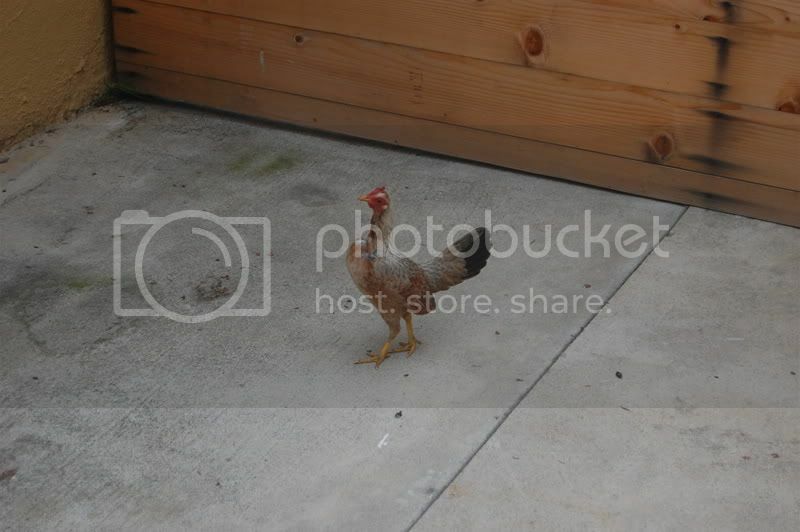 A chicken decided to visit my driveway and stuck around for a little bit. I have not seen it in a couple days, and I hope that it's found it's home and is doing well. Strange to see a chicken in the middle of Los Angeles, but even stranger that I actually miss the chicken. 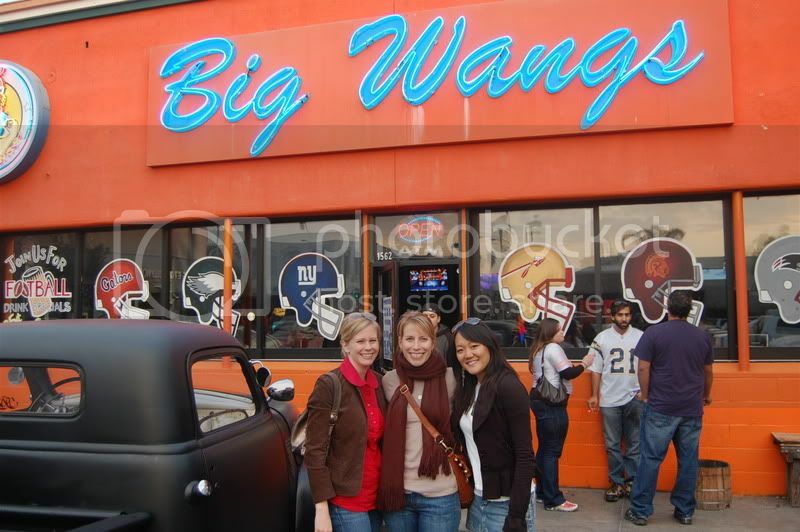 Not thinking of the chicken at all, I enjoyed watching the Falcons game (boohoo) with friends at Big Wangs, which is known for their delicious chicken wings. They were yummy, but don't tell the chicken. The weekend was full of good times... saw Marley & Me, played wii Olympics and rocked out on the trampoline, and enjoyed all the moments when I laughed until my belly hurt and even those moments when I couldn't control the tears from falling. And I couldn't think of a better way to watch the Chargers/Colts game yesterday... whoa. It was enjoyable and exciting and then followed up by some amazing sushi at Bimi on Wilshire.